Alpine is a private club located two hours from the GTA. Like private golf, racquet, and yacht clubs, Alpine's members "own" the property, buildings and infrastructure, and admittance is by member invitation only. Alpine's total membership is capped to control the on-hill skier/boarder density, shorten the lift lines, raise the safety factor, and boost the level of experience for members. Known for its variety of immaculately groomed terrain and diverse ski, snowboard and freestyle programs, Alpine has now opened a contemporary 45,000 square foot clubhouse perfect for après ski get-togethers, weekday ski days and private functions. 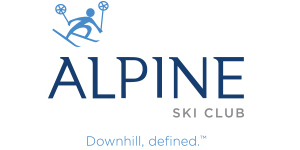 A limited number of annual introductory memberships are available for the purposes of experiencing the Alpine lifestyle as a price equivalent of an away vacation. Mount St. Louis Moonstone is one of the largest family owned ski resorts in Ontario offering great ski hills for skiing and snowboarding. It was founded 49 years ago by Austrian Alpine skier Josl Huter. The resort is located just north of Barrie in the Snow Belt region of Ontario. Today, it contains 36 slopes, 9 chairlifts and 3 carpets. The resort is known for being family friendly and prides itself on accommodating the beginner skier to the most advanced skier. Mt. 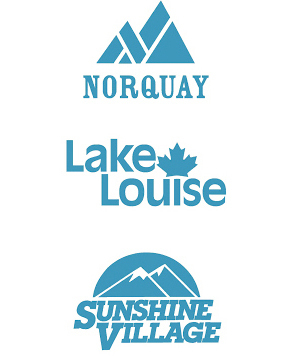 Norquay, Lake Louise Ski Resort, and Sunshine Village. All with one lift-ticket! We are your nest source for exclusive deals on Ski & Stay Packages and Lift Tickets in Banff National Park. Whether choosing from our extensive list of customizable Ski & Stay packages, buying lift tickets or booking rentals & snow school, you will find your dream winter vacation in Banff & Lake Louise. Additional Savings on Ski & Stay packages & Lift Tickets – on top of our BEST sale prices! Save up to 20% off rentals, snow-school, and guided experiences. Kids ski FREE when one Adult skis 5+ days within a Ski & Stay package. Visit – www.skibig3.com or Call - 1-855-762-8454 and make sure to mention that you are a Corbetts Ski + Snowboard customer to receive these additional pricing bonuses! Did you know? Canada’s 150th Birthday in 2017 means your National Park Pass is free! Glen Eden is located at Kelso Conservation Area and offers a variety of programs for kids and Adults – Remember to sign up early, their programs sell out fast! Holiday Valley Resort is located just one hour south of the Peace Bridge in fun-loving Ellicottville NY. With 58 slopes spread over 5 mountain faces, Holiday Valley offers the largest variety of terrain in the region. Come find out why your Ontario neighbours love Holiday Valley!